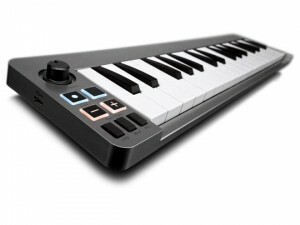 The M-Audio® Keystation Mini 32 is the ideal choice for players on the go. Designed by the company that pioneered mobile music production, this ultra-portable keyboard delivers unmatched playability in its class. Simply plug it into your computer or iPad* and perform two-hand parts with 32 great-feeling, low-profile mini-keys. Customize the keyboard sensitivity to your playing style with highly musical velocity curves—including one specifically for drum programming. Control your performance with four assignable controls, including a rotary knob. 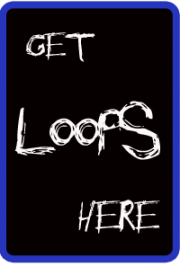 And easily play and write music using the included software. With USB bus power and plug-and-play** functionality, Keystation Mini 32 is the easy way to create and perform on the go. There’s no need to sacrifice quality or performance when you take your music on the go. Innovative, road-worthy M-Audio products led the mobile studio revolution—propelling the company to become an industry-leading keyboard provider—and now the Keystation Mini 32 extends and elevates this legacy. Like the rest of the popular M-Audio Keystation line, the Keystation Mini 32 delivers best-in-class feel thanks to a custom-designed keybed, pitch bend controls, and selectable velocity curves—plus unprecedented portability.